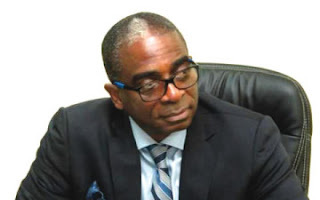 The Director General of Standards Organisation of Nigeria (SON), Dr Joseph Odumodu, has said that Nigeria loses huge sums from the exportation of untested agricultural products. Odumodu made the disclosure while speaking with newsmen in Abuja on Monday. He said if the country wanted to promote non-oil export, it could not achieve the target by selling sub-standard commodities. 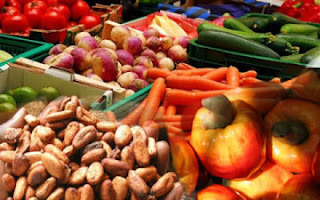 Odumodu said while Nigeria like other countries was focusing on agro business to earn revenue; its main challenge in the exportation of produce was that exporters never followed the law on standardisation. “Lots of Nigerians are now exporting agricultural products but one of the challenges we have seen is that most of our commodities are not easily accepted in Europe. “The challenge we have is that people try not to do what the law says. “Exporters send goods without testing them and once they get there and are tested, if the goods do not comply with the standard, it will be destroyed or sent back to Nigeria. “So such act gives the country bad image because it is negative news yet it is one person who tries to smuggle the product into that country,” he said. Odumodu said Nigeria must clearly define the process for exporting agricultural produce and put sanctions in place for defaulters. “I think what we need to do going forward is to create sanctions, there must be a clearly defined process for export of agricultural products. “Once those processes are defined, then the onus will now be on us to ensure that before you send any produce out of Nigeria, it must be tested and certified by an accredited lab. It doesn’t have to be owned by SON. “There is no other agency or any lab that has that level of scope for agricultural producce and we test something as complex as metal in food up to fungi contamination,” Odumodu said. He said Nigeria is a member of CODEX Allimentarius Committee, a standardisation body affiliated to World Health Organisation, and responsible for determining standards for food products. “However, every regional economic community also has a right to impose additional restrictions or increase specification,” he said. The SON Director-General said most times, in order to preserve products for export, Nigerians added more chemicals than required and as a result such products were rejected at the point of destination. Odumodu said there was a need to educate exporters on standards and specifications. Government must ensure that all the relevant agencies come together to have standards. “The important thing is that all of us must agree that this must be done so that no commodity leaves Nigeria without the certificate of certification. “Nigeria can achieve 100 per cent acceptance or 0 per cent rejection but we have to do what we have to do back home but we are not doing that,” Odumodu said. 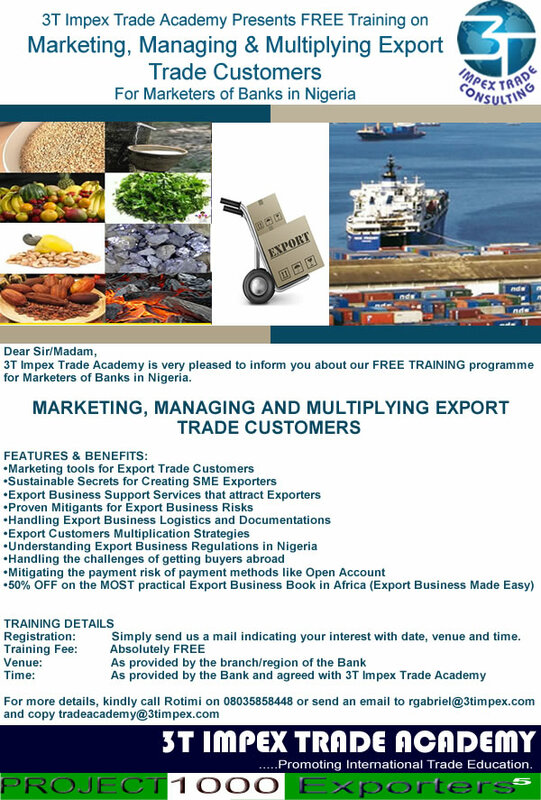 The Nigerian Export Promotion Council has said that many non-oil product exporters in the country are losing huge amounts of their investment because they lack the basic knowledge needed to move along the trade pathway. 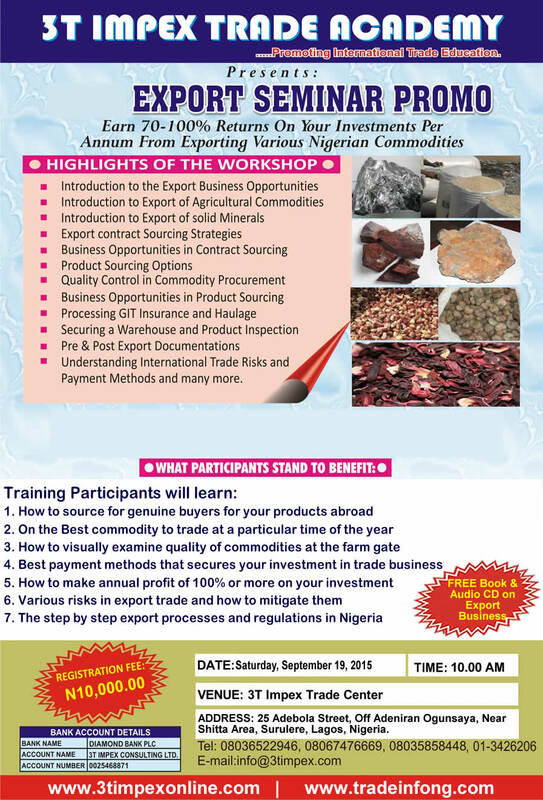 During the opening ceremony of a seminar organised by the council on the opportunities in non-oil exports and market penetration strategy in Ibadan, the Zonal Controller, Lagos office, NEPC, George Enyiekpon, said many investors were being forced to quit because of the complex nature of the global market and the competitive trade arena where players employed sophisticated strategies to penetrate and sustain the market. He said, “From our records, many genuine exporters have burnt their fingers in the process of attempting to export non-oil products due to lack of authentic information and guidelines to lead them through the export trade pathway. Such experiences have resulted in unpalatable consequences, thus impeding on the effort to strive for further export market share for their products. 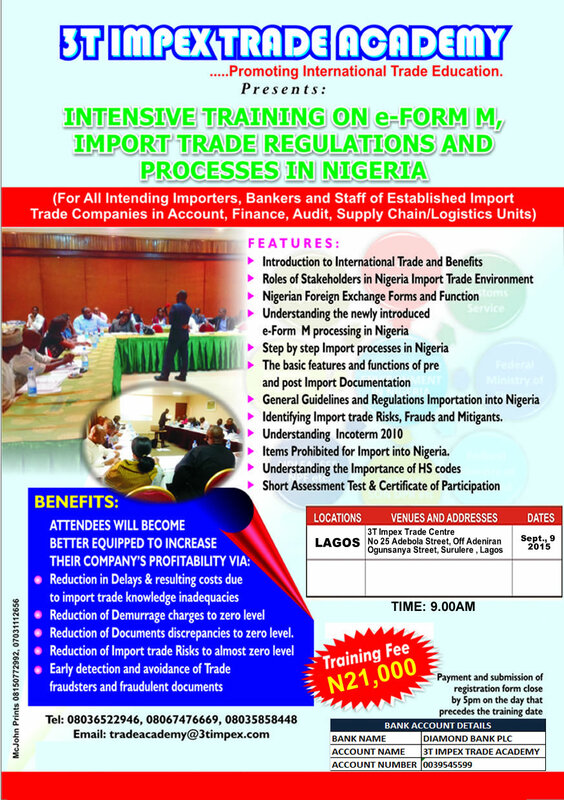 The Head of Department, Trade Information, NEPC, Mrs. Fransisca Odega, told participants that there were many benefits in non-oil export, adding that demand for products like wooden floor tiles, natural rubber, yam flour, spices, cocoa, ginger, seafood and other processed foods from Nigeria were on the increase in Europe, United States and parts of Asia. She, however, warned exporters to beware of demands from fraudulent foreign companies and individuals who tempt them with advance payments. “We have foreigners who trick Nigerian exporters to bring their products to Europe and the US at 20 per cent initial payment, but on getting there, they claim that the products are sub-standard and that no further payment will be made. The cost of litigation often forces the exporters to accept the losses and return home,” she said. The Standards Organisation of Nigeria on Monday said there was a need to put in place a law that would prohibit the exportation of products not duly certified by the appropriate authorities. Operation Flush is a local initiative of SON in partnership with the civil society to rid the country of substandard products. The European Union had put a ban on the exportation of some Nigerian agricultural products up until June next year due to noncompliance with standards. The products are beans, sesame seeds, melon seeds, dried fish and meat, peanut chips and palm oil. But the SON DG, while speaking on the ban, said the best way to address the situation was to discourage the exportation of products not certified by the relevant agencies. 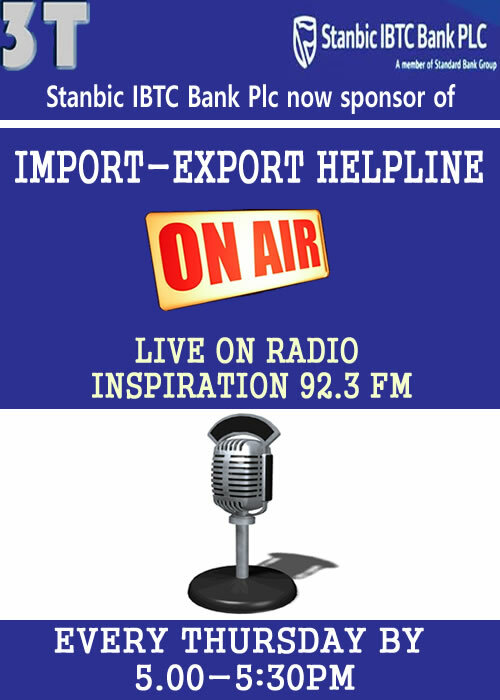 He said currently, there was no law in Nigeria mandating exporters to get certification from SON before shipping their products abroad. He said, “None of the products that were shipped out of the country had gone through any process of certification. “As of today, there is no law that mandates an exporter to get a certification from SON before they ship their products abroad. On the significance of the launch of the Operation Flush, Odumodu said that it was an initiative aimed at cutting down on the level of substandard products from the present level of 40 per cent to 10 per cent. He explained that the initiative to be done in partnership with the CSOs was aimed at expanding the scope of war against substandard products by involving both the retailers and the wholesalers. As the suspension of the Export Expansion Grant enters its second year, non-oil exporters in Nigeria are asking the government of Muhammadu Buhari to restore the incentive which has remained the only major stimulus in the sector. The group is also appealing to the president to look into outstanding Negotiable Duty Credit Certificate claims which currently stand at over N151bn. In order to boost Nigeria’s trade presence in the international market, the Federal Government established the EEG in 2006 as an incentive to cushion the effect of harsh business environment faced locally by importers and drive non-oil exports revenue. The incentive, modelled after Brazil’s and China’s, was targeted at earning more foreign exchange, attracting more non-oil investments and creating thousands of jobs, while also making local commodities competitive in the international market. The EEG was operated through the Nigeria Customs Service with instruments known as Negotiable Duty Credit Certificates and suspended in August 2013 by the previous administration which promised to review it. The review, however, did not happen before the exit of the last government. The Chairman, Manufacturers Association of Nigeria Export Group, Tunde Oyelola, said the scheme should be restored on account of its recorded success. He added that operations of the EEG between 2005 and 2013 led to a boost in the value of Nigeria’s non-oil exports from $700m to $2.9bn. In a statement issued by the association, Oyelola said, “Nigeria’s vision is anchored on economic diversification away from a mono-product (oil), transformation from primary commodities to processed and manufactured goods, as well as high levels of efficiency and productivity. According to him, the EEG was suspended unofficially as there was no official pronouncement before its termination, adding that the outstanding debt owed non-oil exporters by the Federal Government has pushed players to the precipice. He said,“Some of our members discounted the prices of their products in the international market in order to secure contracts, hoping to make up the difference from the EEG, but the sudden suspension of EEG has grossly affected their accounts. “In addition, some others went into expansion of their operations in order to increase their non-oil export volumes due to expected benefits promoted by EEG. In some other instances, manufacturers borrowed from their bankers with the NDCCs as security, but due to the suspension of the EEG, the bankers have been forced to ask for additional and better collaterals, thereby pushing them into further distress. 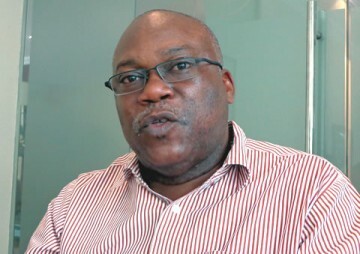 A non-oil exporter and the Chief Executive Officer of Sapele Integrated Industries Limited, Ede Dafinone, said a country desirous of economic expansion amid crude oil crash could not afford to ignore a critical area like the non-oil sector, stressing that the EEG is not free money as it is targeted at non-oil growth and remains a practice in many developing and developed countries. “You look at the number of jobs it can create, the economic diversification and expansion, the multiplier effect on other sectors and wonder why a scheme like this would be ignored,” he said. The Federal Government’s bid to boost non-oil exports has received a boost as the country will soon begin the export of pineapple in commercial quantity to Italy, Poland and other European countries. The development is the outcome of measures put in place by the Nigerian Export Promotion Council to maximise the potential of the non-oil sector through investments, capacity development, innovation and formidable partnerships. The General Manager, San Carlos Farm, Mr. Obiorah Ugwo, while speaking during a facility tour at Liberty Estate, Independent Layout, Enugu, on Tuesday by officials of NEPC, said there were huge potential for the country through the exportation of agricultural products. The 150-hectare farm is a joint venture between the Enugu State Government and Mexican farming conglomerate, San Carlos. 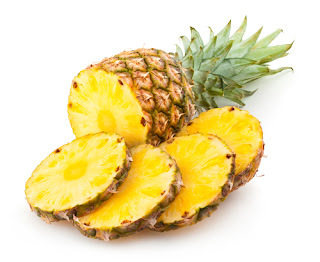 Approved by the Enugu State Government in 2012, the JV, which is estimated to cost the sum of $29m (N4.9bn), was established for commercial production of pineapple for both local consumption and export purposes. Ugwo said owing to the potential of the agricultural sector as a huge foreign exchange earner, the company has decided to venture into integrated farming through the introduction of banana and livestock, particularly cattle rearing. He said, “This is a joint venture and initially, it was planned to cost about $29m and we are still operating on that even though the Naira has been unstable and the government has kept faith with their own side of the bargain and that is why the project has gone this far. “As at December 2014, we did the test export to Italy and as at now, we have about four orders to be serviced and it depends on how we harvest from our fields. “We have orders from Poland, Germany, two from Italy and we have so many that we are even rejecting because we cannot service them. He said there was the need for the government to address some of the challenges facing the exports of the product to other countries. The Head, Public Relations, NEPC, Mr Joe Itah, said the agency would continue to promote non-oil exports owing to the challenges faced by oil in the international market. He said, “We have a responsibility of promoting non oil exports anchored on our cardinal point of market information and trade facilitation. “It is through the efforts of NEPC that people would be able to see the processes that our products go through to meet the standards. Nigeria’s agricultural inputs development and distribution company –The Candel Company Limited – is set to commence the export of its made-in-Nigeria agrochemical products to Ghana. 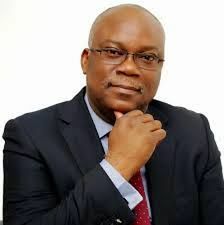 The Chairman, Candel Group, Mr. Charles Anudu, disclosed this during a statutory plant inspection and assessment of the firm’s factory located at the Lekki Free Trade Zone by the Environmental Protection Agency of Ghana. According to a statement from the firm, Anudu revealed that the plant, which was inaugurated barely three months ago, now had the capacity to export crop protection chemicals and foliar fertilizers to Ghana. Assuring the visiting regulatory agency of the quality of Candel agrochemical products, Anudu noted that quality was of utmost importance to the company. ‘’We ensure that the quality of the chemical content in our bottle is exactly as written on the label. Our approach to quality is a holistic one which includes the quality of the content as well as the packaging,’’ he stated. The Managing Director, The Candel Company Limited, Mr. Emmanuel Kattie, stated that the company’s innovative Research & Development unit had produced the foliar fertilizer for Cocoa which both feed the cocoa crop while protecting its pods from the dreaded Black Pod disease”. He added that the firm had a new Maize herbicide that does not contain Atrazine thereby resolving the underground water problems associated with this active ingredient. Speaking shortly after the plant inspection, the Head of Chemical Control & Management Centre of EPA, Ghana, Dr. SamAdu-Kumi said, ‘’Most of the Agrochemical products that come into our country are substandard. In our sub-region, we only have one factory. 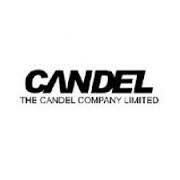 Candel’s plant and standards are a welcome development that will help boost the economy of Nigeria and trickle down to other West African countries. A recent study by the United States Agency for International Development has estimated that an increase in cashew processing in Nigeria can lead to additional $75m revenue and 344,000 jobs. Nigeria is one of the West Africa’s largest producers of cashew and the sixth largest producer in the world. But with the production of raw cashew nuts estimated around 120,000 MT annually, only about 20 per cent of raw cashew nuts are processed into kernels, stakeholders observed during a recent workshop on the cashew sector. In the workshop themed, ‘Cashew business competitiveness and environmental sustainability,’ which was sponsored by the USAID West Africa Trade Hub Network Project; the Nigerian Export Promotion Council and hosted by the African Cashew Alliance, the stakeholders observed that the cashew sector had the potential to bring about great economic success. They noted however that the sector was bedeviled by challenges including aggressive export demand; high raw material prices; exchange rate issues; lack of loan facilities for processing; factory closure, job losses among other challenges. According to them, two key issues that are crucial to the success and future of the Nigerian cashew sector are business competiveness and environmental sustainability. In his presentation during the workshop, the Business Advisory Manager, African Cashew Alliance, Sunil Dahiya, noted that cashew processing generated a significant amount of waste throughout processing stages adding that the pollution represented a serious threat to the competitiveness of local processors. He said, “As international buyers increasingly request compliance with environmental standards, the industry must include more efficient technology and better practices.